We already wrote about how to guarantee that your kids will have an awesome summer (spoiler alert: the answer is gaga ball!). 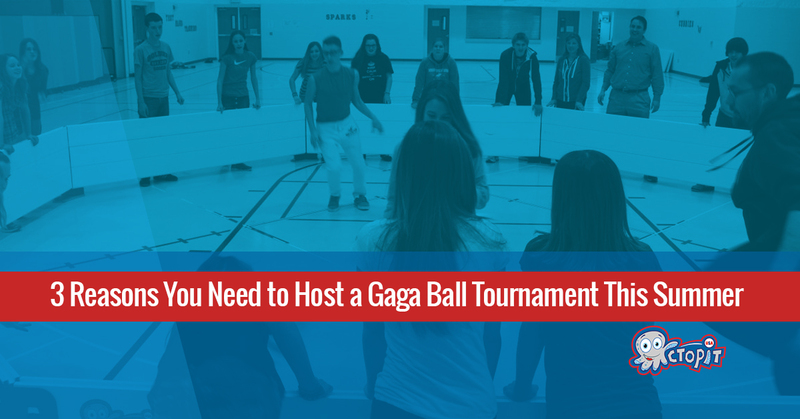 You may even want to go so far as to host a gaga ball tournament. Sounds like a lot of work? Trust us when we say that it’s not! With a little bit of planning, your gaga ball tournament could be a huge success. After all, it only take about 15 minutes to get your gaga ball pit setup and with a little bit of research and legwork, you can invite a number of people to your backyard. In today’s blog, we’ll take a look at a few of the reasons you might consider doing this. Keep reading to learn more! If you’re the family that owns a gaga ball pit, there’s a good chance that a number of kids from your neighborhood are already spending a big chunk of time in your backyard. While that’s good, there are a few ways to make it even better! By inviting people from your child’s class in school over, you are fostering the opportunity for your children to make new friends outside of school over a game of gaga ball. It’s a great way to get your kids out of their bubble (and into the gaga ball pit), so put together a list of children that your kids would want to have over, invite the whole neighborhood, and enjoy a weekend long gaga ball tournament! Hosting a gaga ball tournament also gives you the opportunity to meet other parents. Whether you choose to forge new friendships or not, knowing the parents of other children in your child’s class is never a bad idea. And as a bonus, you just might meet some of your neighbors who could watch your kids from time to time when you and your spouse decide to head out of town for a weekend away! Sometimes the biggest challenge with kids is that they want to sit inside and watch television or play video games all summer long. While there’s nothing wrong with this from time to time, it’s important to foster an attitude of outdoor adventure in your children from a young age. Instead of simply asking them to play outside, set up the gaga ball pit and you ensure that they have something fun to do while they’re spending time outdoors. It’s a win/win situation! Get a Quote for a Gaga Ball Pit Today! If you’d love to host a gaga ball tournament in your neighborhood, the first step is getting a free quote for your own backyard gaga ball pit. We have plenty of options to suit every type of yard, so go ahead and contact us today and we’d be happy to help. Whether this is your first time hearing about gaga ball or you’ve been wanting a pit for ages, our goal is to get you the gaga ball pit that’s right for you.